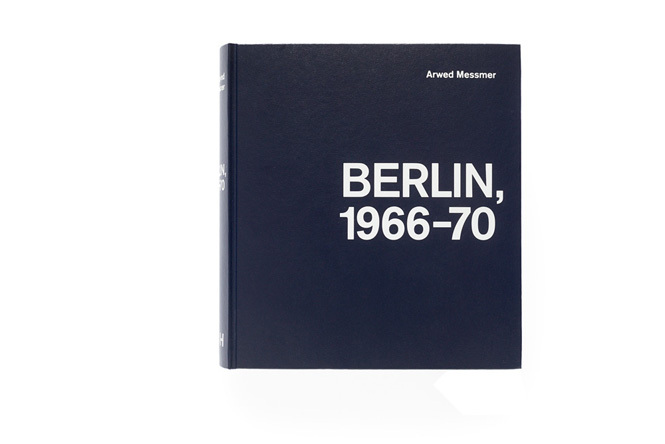 Over the past decade Arwed Messmer has been working with photographic documents from public archives, using them as the visual basis of his artistic work. 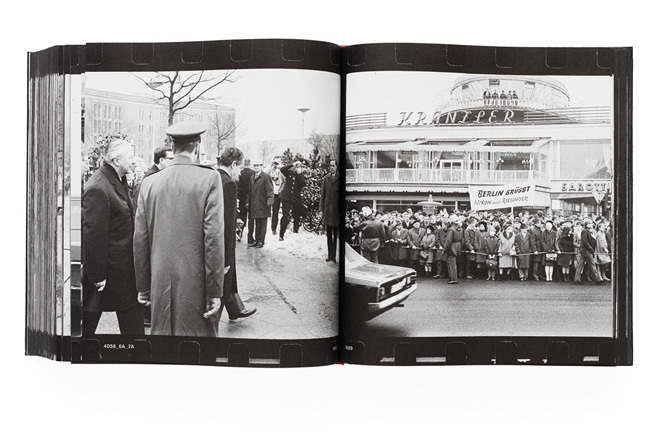 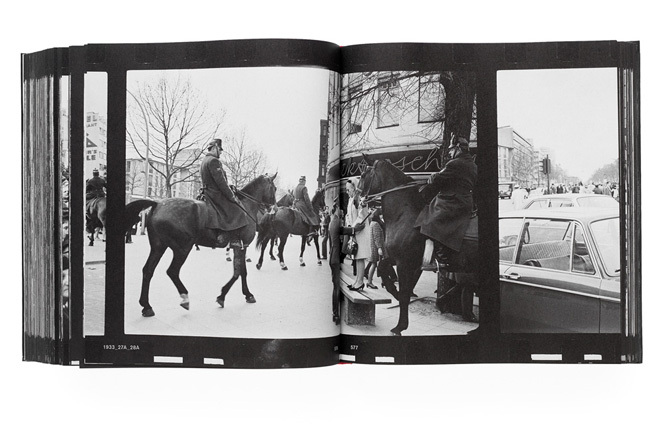 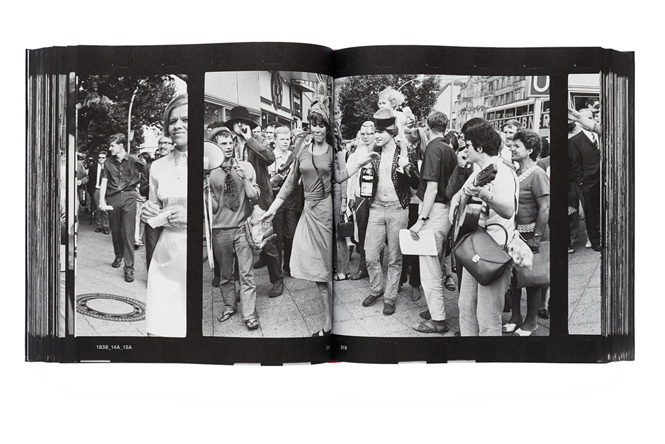 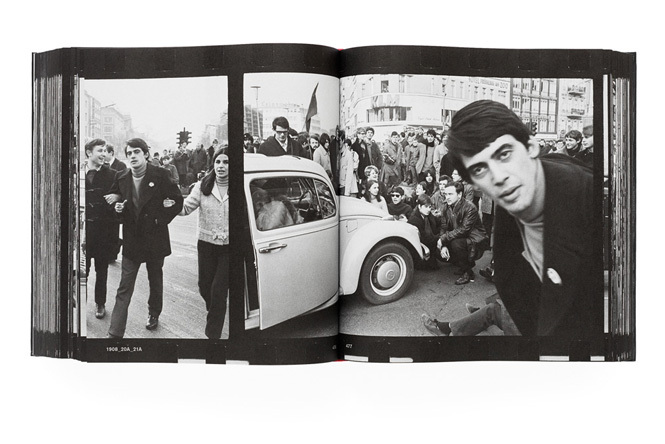 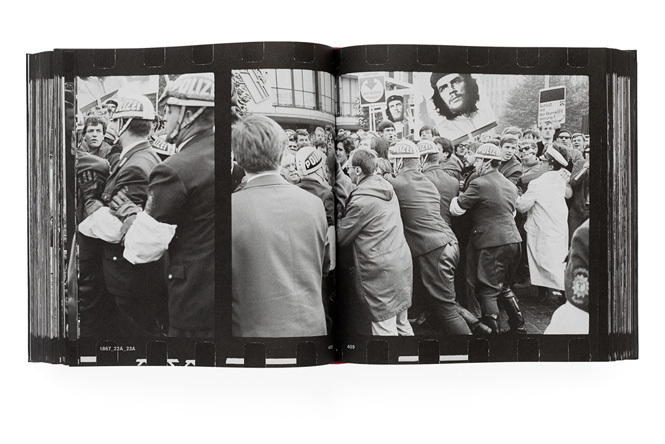 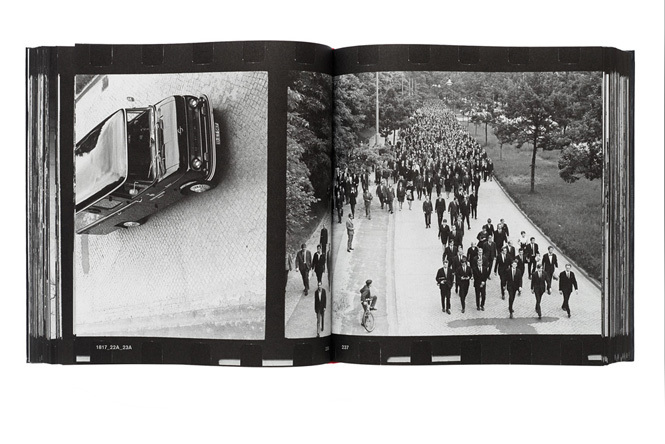 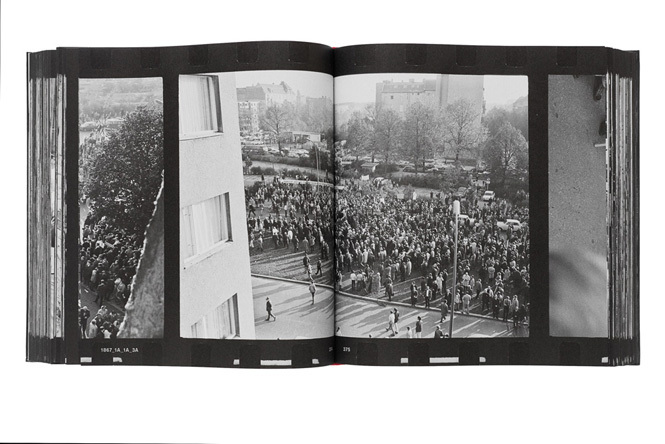 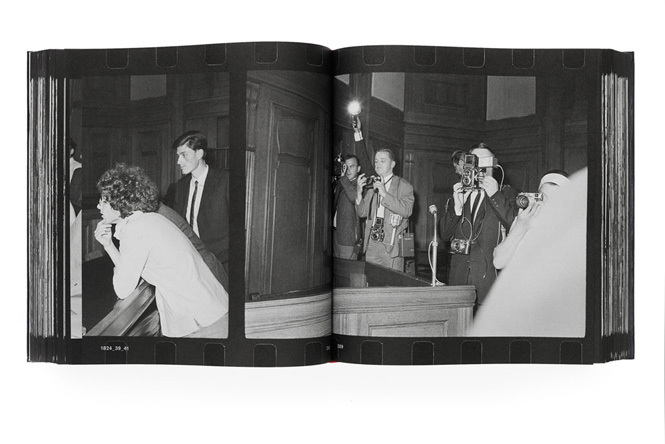 In the Police Historical Collection in Berlin he examined the holdings of images taken by the police within the scope of their usual documentation during the student protests of the 1960s. 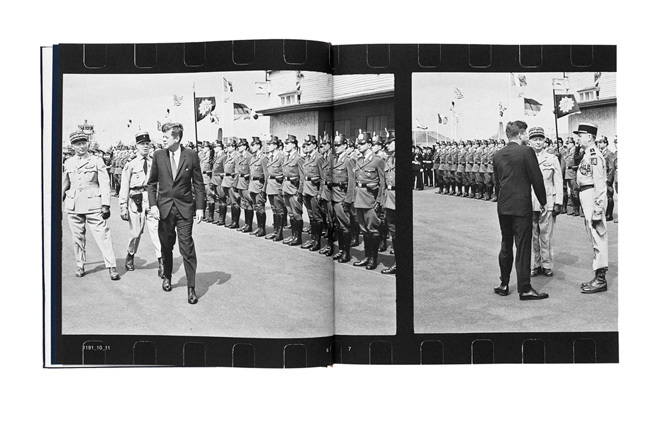 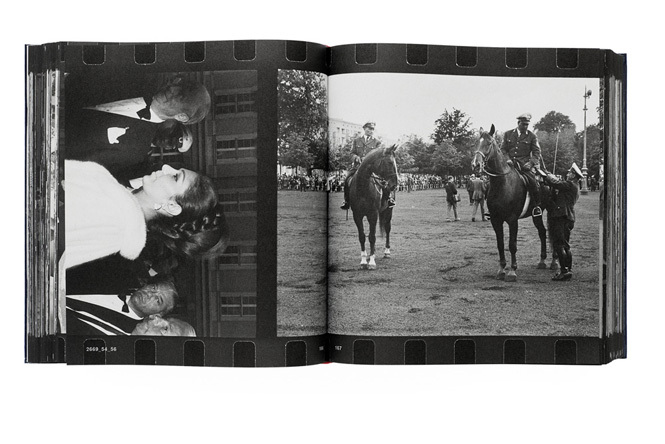 These images, which are published here for the first time, show a different view of the historical events than the press images that dominate our visual memory to this day. 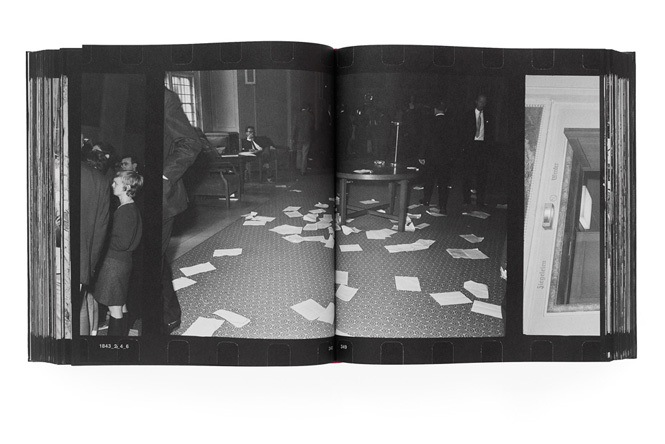 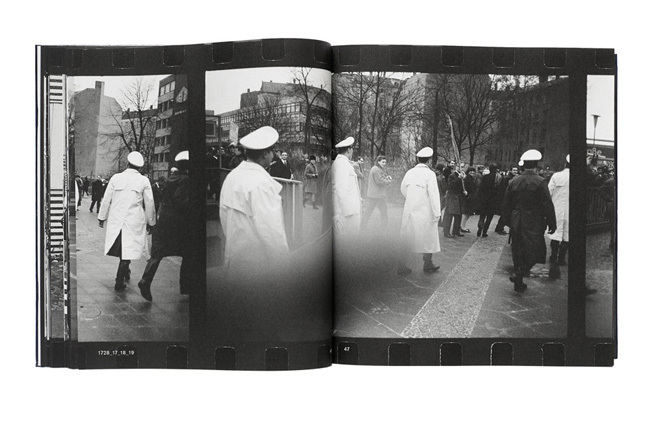 For this project Arwed Messmer digitized over one thousand black-and-white negatives, editing them in a sequential narrative structure that breaches the boundary between photography and film. 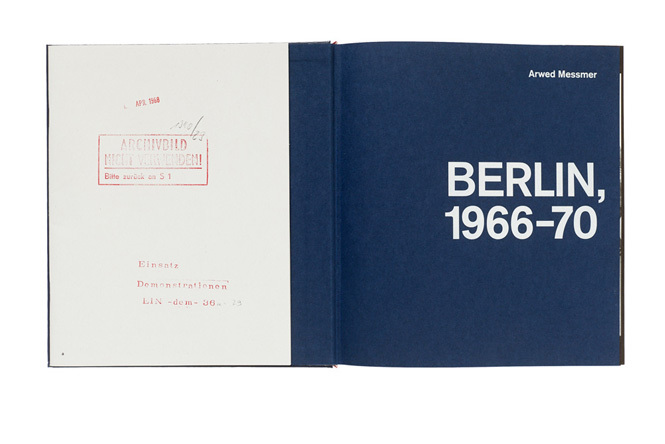 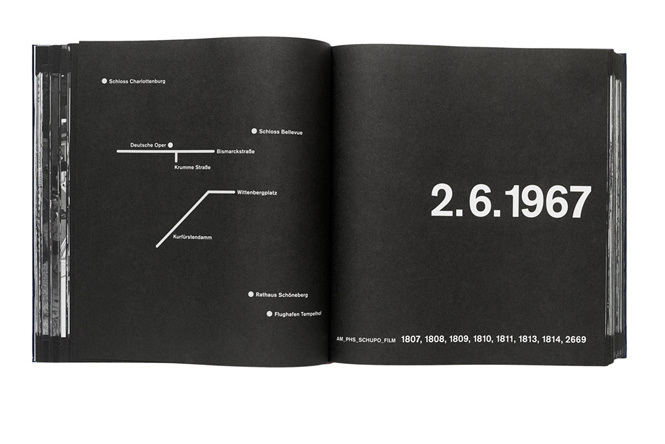 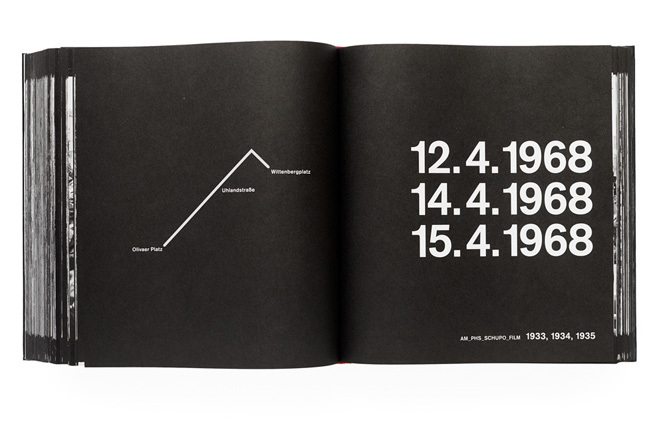 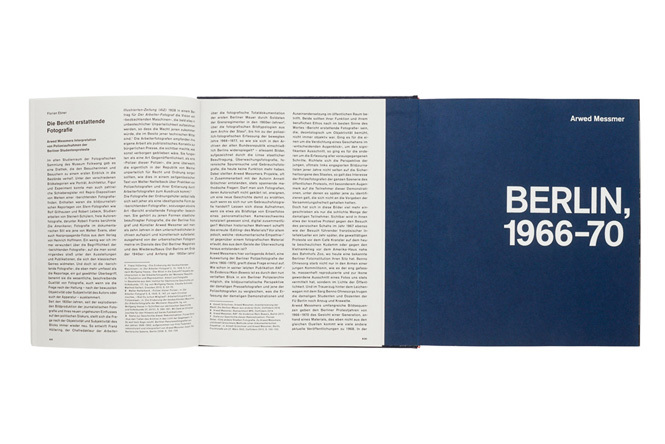 The minimalist but highly effective book design reflects this structure by using overlapping images and the perforation of the negative strips.